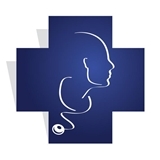 Ear Nose and Throat Associates (Gainesville) - Book Appointment Online! Welcome to Northern Virginia's medical practice for complete care of the ear, nose and throat. We serve as a single source of specialized medical and surgical care for patients of all ages in the Northern Virginia area.